Status: Eliminated by Jewel Staite in Round 3! 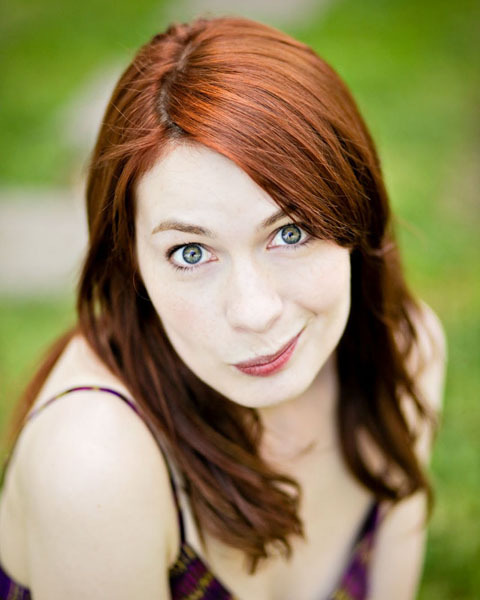 Felicia Day is nothing short of a multi-talented genius. She is an actress, singer, writer, producer and entrepreneur. I first saw her perform in Dr. Horrible’s Sing-Along Blog – a gig she possibly landed due to her friendship with Joss Whedon who originally cast her as Vi in Buffy. She has also played roles (nerdy ones at that) in SyFy’s Supernatural & Eureka. In 2007, she launched her own web series, The Guild (a show about geeky online gamers), later going on to found a YouTube channel called Geek & Sundry. Her nerd cred doesn’t stop there though. She aced her SAT’s, was valedictorian of her graduating class, and majored in mathematics and violin performance in college. Oh, and despite being accepted into the Juilliard School of Music, she chose to go to the University of Texas in Austin instead in her home state. Doubly cool. Check out her interview at SXSW 2011!